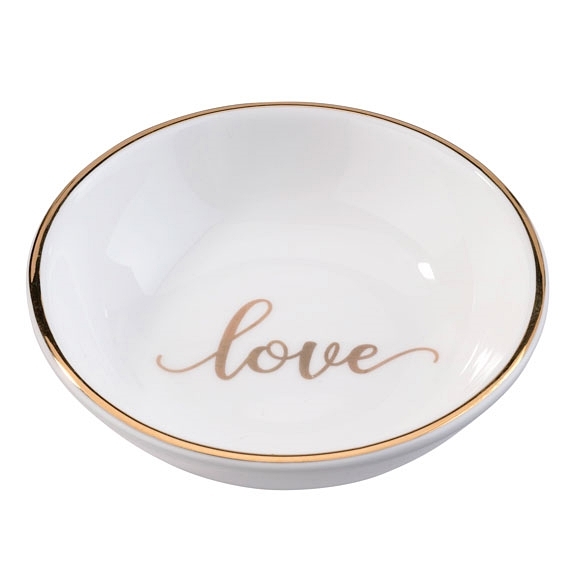 Use this "Love" dish as a beautiful alternative ring pillow or place it on your dresser at home for earrings and trinkets. This sweetly designed catch-all is as delightful as it is functional, and is made from ceramic with a white shiny finish, gold lettering and gold trim. Perfect for a wedding, engagement, anniversary, Sweet 16, Valentine's Day or other love filled event!